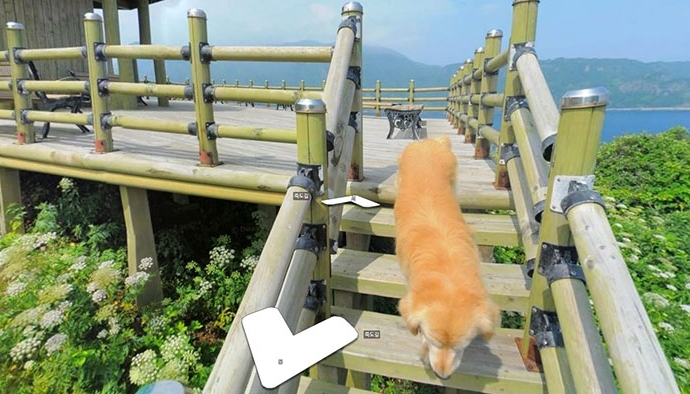 It's not easy carrying a street view camera backpack around, but we imagine it's much better with a fluffy doggo following you the whole time. In these pictures of Jukdo, a small idyllic island in South Korea, you can see the friendly dog is in nearly all of the pictures. 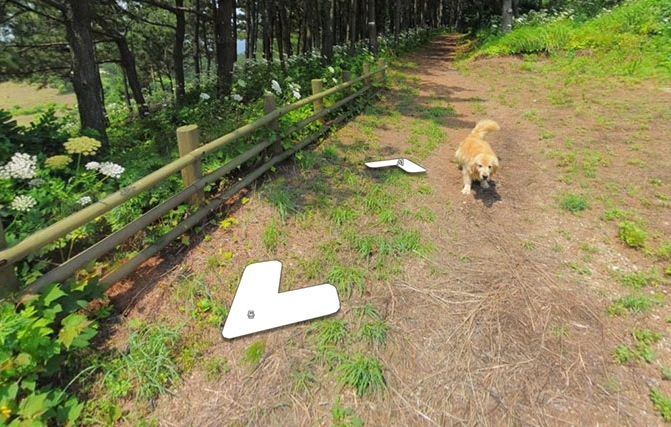 If the pictures look empty, it's probably because the island has few residents. 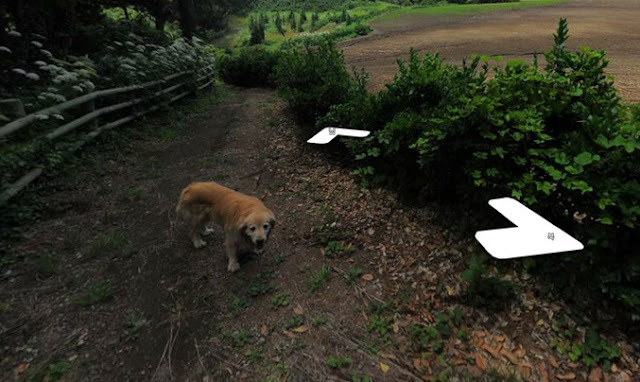 A 2004 census noted that only a family of three was living there. 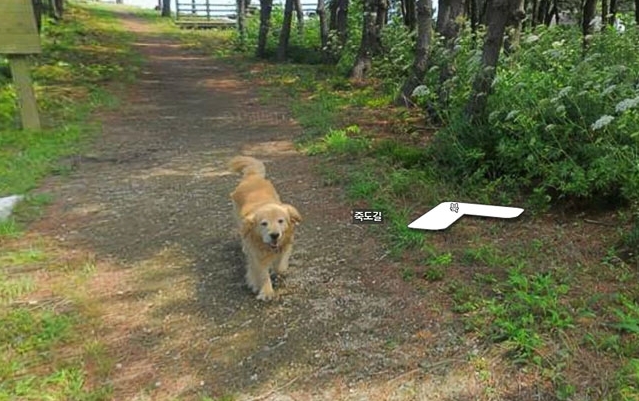 These pictures taken in Ulleung-gun, Gyeongbuk, South Korea, not only give you a street view – you also get a friendly golden doggo to accompany you and be your guide. 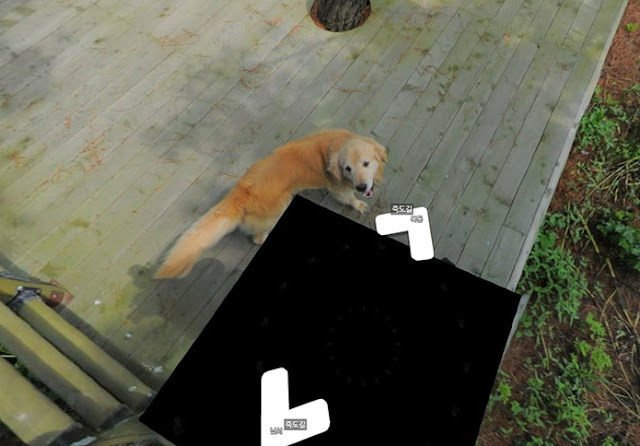 While street-view cameras often capture funny and strange occurrences, it's rare to have an entire series of photos populated by the same creature. 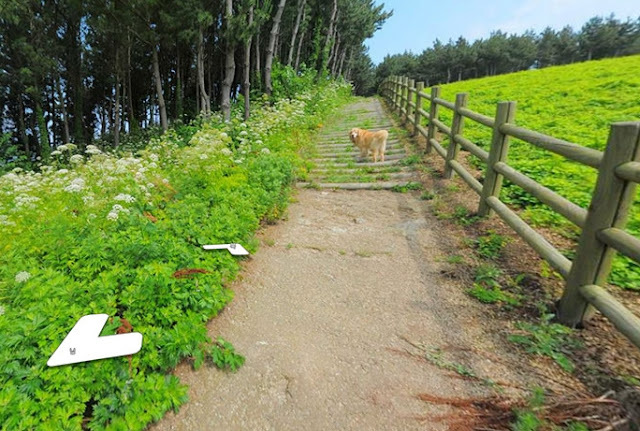 You can tour the beautiful island of Jukdo yourself on Daum's map service, and enjoy the virtual flower-filled fields and rugged trails, all while accompanied by this happy island pooch. If you don't see the dog at first, simply pan the camera to look behind you and it's almost guaranteed that there will be a friendly puppy face looking back. 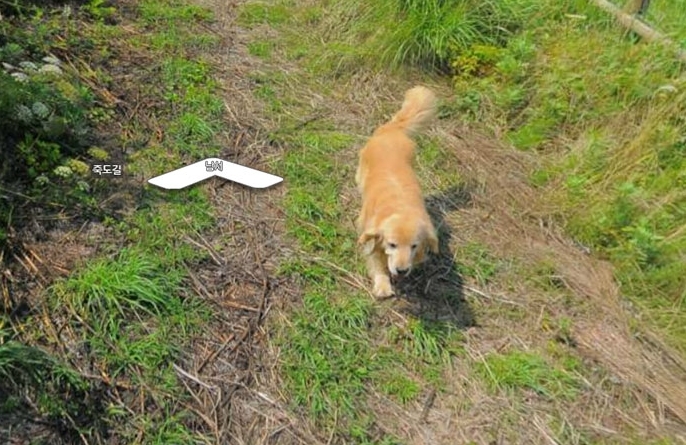 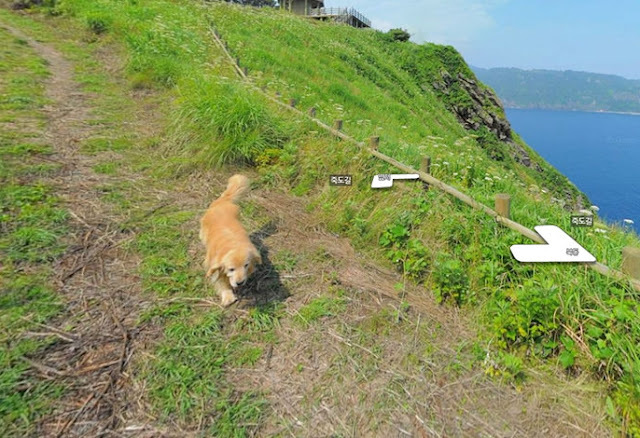 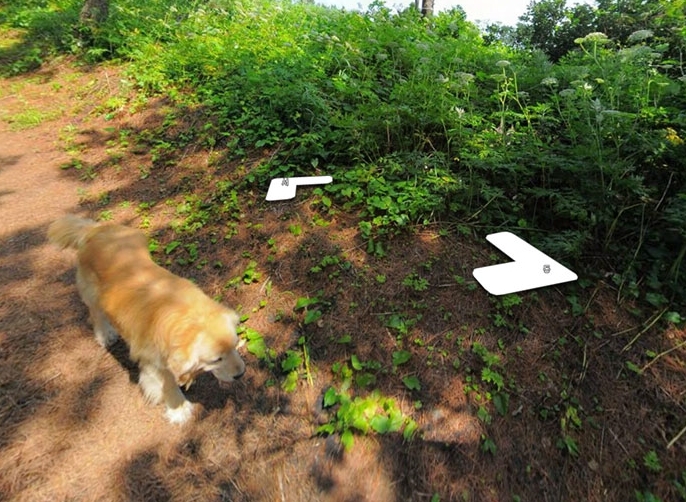 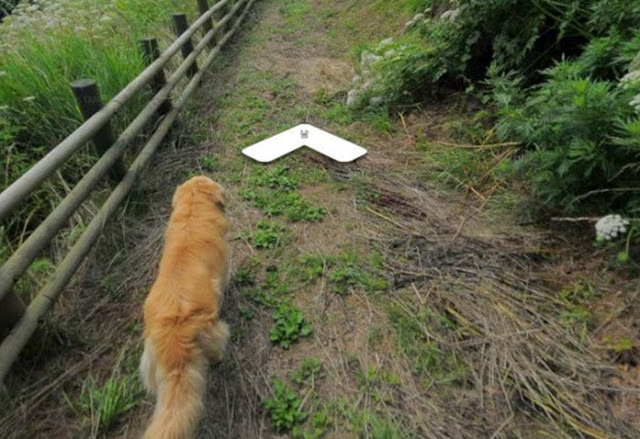 Responses to "Friendly island dog follows a street view mapper and photobombs all his shots"